Hi Rhonda - I'm so sorry to hear about your friend, Bernadette. I know she will be greatly missed. It's hard to lose those we love and care about. Aside, your cake looks very moist and juicy. I have written down this recipe and will try it soon. I love orange anything! Your post about "don't be scared" is spot on. We just need to learn all we can and do for ourselves. I'm working on that myself. My days of late have been full of gardening and canning and freezing. Two more years and my last child will be out of college (Lord willing) and I won't have to work any longer. I will be devoting alot more time to being self-sufficient! Thank you so much again for sharing your journey with us! Oh, this cake does sound SO amazing! I'm assuming that a bar tin would be what we call a loaf pan in the U.S.? I'm definitely going to bake it and use a powdered sugar/lemon juice glaze to ice it! Thanks for sharing! I love this recipe!!! Thanks for sharing. I think I will make it tomorrow. And also, thanks for the conversions too! This sounds like a good recipe for the boxes of oranges my in laws send up in the winter months. I am bookmarking this recipe. Sounds and looks delicious. Just a question though. What about the seeds? I wonder if you could substitute oranges for lemons??? Rhonda Jean I must have been having a "senior moment". I took a whole orange to mean you had to put it in as a "whole" so I thought what about the seeds. HaHa. Easy cake to make. Fabulously delicious looking!!! Shall make one for the weekend. Yum. I am totally making this in about 20 minutes. stick horse cowgirl, yes, it's a loaf pan. Lori, I'm sending hugs to you. 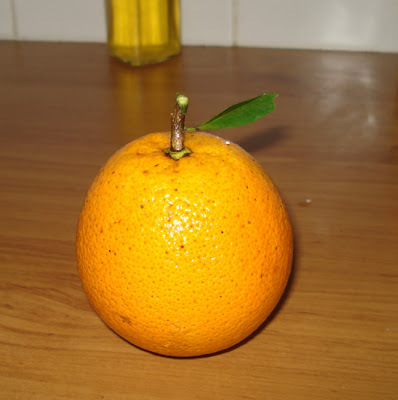 Patricia, I used a navel orange. If you have seeds in your oranges, I'd be inclined to leave them in and remain with the whole orange concept. However, if they remain whole after processing, you might like to remove them. Stone bridge farm, I thought the same thing. I will make this recipe using a lemon in the next couple of weeks. I think it will work well. What size is a bar tin? I have searched the internet and all I can find is a reference to a Pampered Chef bar pan--which appears to be a jelly roll pan. Your cake looks way too tall for that, so I am not sure what size pan I am to use. Oh dear, I am making this tonight as a surprise for my husband, thanks! anon, a loaf pan. Mine measures 21.5 x 15 x 10mm or 8½ x 6 x 4 inches. This was lovely, I made it in a Bundt pan. 350 for 40 minutes and it came out perfect. Topped it with lemon glaze with juice of half a lemon and zest of a whole lemon and it was a big hit after Easter dinner. Thank you Rhonda. May your happy memories carry you through this sorrowful time. I am off work today so will treat the family to a lovely and bonus easy looking orange cake .Thanks for sharing as always. This is our favourite cake recipe. i love it from the exact same source. It is always moist and a great hit with everyone. I dont have a food processor but I Cut up the orange into quarters and use a food mixer stick to blend and that works well also. Thanks Rhonda. We inherited a navel orange tree when we bought our place 18 months ago. I'll try this recipe. It looks lovely and moist. Probably would be nice heated with custard too. I am praying for strength for you in such a difficult time. It is never easy when faced with the loss of someone close. It looks so yummy and dense and moist....Mmmm just what I love in a cake! Though I too was wondering about the seeds? Thank you Rhonda for such a simple recipe. I previously made a whole orange cake but it called for the orange to be boiled for 1 or more hours (!) This one is much easier. I'll be making it this weekend. Thank you for your down to earth views and wonderful PICTURE recipes! Hi Rhonda - I posted almost the exact same recipe the other day, isn't it good? A little bit of orange zest on the icing is lovely too. I have found that using the same weight in lime or lemon or mandarin works too, the sugar just needs a little adjustment. 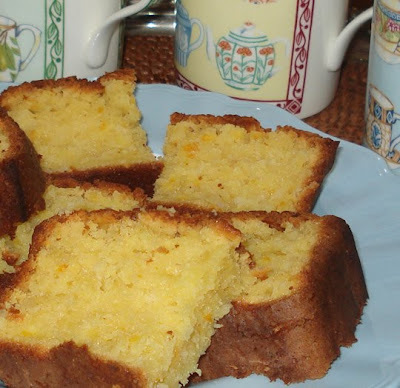 I use my husbands grandmother's recipe which was her grandmothers.I love orange cakes. I will have to try yours for a change of things. What a deliciously mouthwatering cake you have whipped up, Rhonda! I just made this for morning tea- everyone loved it, I am saving some to take to a meeting later today. I made it in a square pan and dusted it with icing sugar. Delicious. and ps that cake looks DELISH!!! It's in the oven now! Yum! I only have a tiny food processor (It came with my wizz-stick! ), so I sliced up the orange, put it in, and it worked well enough. I added the eggs into the processor, but did the rest in a mixing bowl. Too easy! Hi Rhonda- Cake looks scrumpstiously moreish!! what a good idea using food processor-I will have to try that. It reminds me of sticky lemon cake my mum used to make (she used to make a sticky lemon syrup using lemon juice and sugar and then once heated to a thick syrup poured over the top of the cake like a glaze--mmm yummy! Thank your for the wonderful sounding cake recipe...can I ask one question though what do the cups convert to in ounces ....I'm in the UK and my scales use ounce weights. Just made the cake for supper tonight and it is beautiful, so easy too and it tastes great. Thank you for sharing. I use a similar recipe sourced from SMH's Good Living mag last year. I've tried it with lemon and lime and it works well but orange is by far my favourite. From blog to oven this cake took three minutes! I baked it in a roasting tin and we had it hot with vanilla ice cream for dessert. Utterly divine, thank you Rhonda! I will try it soon, and likely do the glaze as well. Thanks for the new photo of you. You have such a kind, friendly looking face. It seems to match your personality! Rhonda, I have been reading for a few weeks and I enjoy the archives immensely. Thank you for your writing and willingness to share your wisdom with us. I am so sorry to hear of your loss (Bernadette). It's so very hard to lose a dear friend. I know this is off topic to this post but I wanted to share a site I found that has recipes for making lotion and lib balm at home. After reading your posts about soap making, I realized I used more lotion then anything else and I would like to find a home made replacement lotion without preservatives and chemicals in it. At any rate, I thought you would like the address. It is http://stretcher.com/stories/03/03nov10e.cfm I think this page is for the lip balm instructions. If you make lotion or make up items I am sure other younger moms would love to see a post about it from you. I am ordering the lye today if I can't get it through the chemical supply place in my town. I am really looking forward to making soap for my little family! It just occurred to me that you might not need lotion since your soap retains the glycerin that our skin needs. At any rate, I am going to link your site to my Facebook page so my other friends can learn about simplifying their lives as well. Thank you for everything Rhonda. Women like me who lost their mom early look to women like you for ideas and skills to raise our families as healthfully as possible. Beautiful new picture Rhonda! 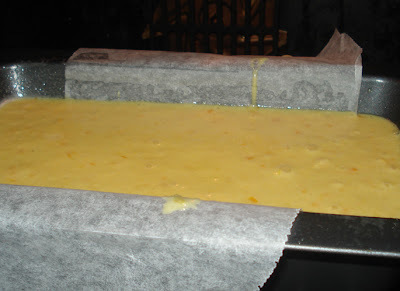 And I am making the orange cake, oh MY it looks delicious! I am so sorry to hear of your loss this week. My heart goes out to you, and to your dear friend Bernadette's family. The orange cake recipe was amazing! My teenage sons were intrigued by the idea of putting an entire orange in the food processor, and pretty much made the entire cake by themselves. It took an hour to bake (they used a monster orange), but it was well worth the wait - not too sweet, and not at all bitter. OH. WOW. Can't wait to try this cake! I'll try it with orange glaze, made with a little orange liqueur perhaps... And your new profile pic is lovely, of course! Just want to express my deepest sympathies on the loss of your dear friend. May the memories of her always be with you and keep you smiling! This orange cake looks delicious! I will have to try this out soon. thanks for sharing. WOW! !Now this looks delicious & so simple to bake too.Have got to give it a try in this oven of mine..*sigh* Hopefully it works. today after reading your post i straight away made the cake- minus the skin of the orange as it was bought from outside. It came out so well! Thanks and your new profile picture looks great!! Rhonda, i am sorry to learn of your friend, hugs to you. How appropriate that you should share your orange cake recipe. One of my trees seriously blessed us this year. They dont look their prettiest but boy are they sweet and almost pip free. Oh! and organic too. However as they are in abundance and i had wanted to make a few gifts i thought your post was most apt. I did promise this year to make more and buy less. Thank you for helping me to achieve this. I have made 7 so far. I have always tried to make the most of having the oven on. Thank you again and from my recipients too, as i am sure they would love to thank you as well. I was sorry to hear about your friend. It is hard to lose a loved one. Hi Rhonda, thankyou for this great recipe. So easy,I'm typing this as I smell mine baking in the oven. The aroma is wafting through the house & if the taste is anything as good, it will be a favourite. My husband & I are trying very hard to remove preprepared food from our everyday meals and recipes like this make it a lot easier. Keep up the great advice, you're inspiring us and I'm sure lots of others to a better way of life. I am so sorry about your friend dear, and Oh my that looks good, Lemon and Orange cakes are my very favorites, thanks for this new recipe too, will definitely try it, hugs and blessings my friend. I like your new picture better. It seems more real. I don't bake with white flour or white sugar -- what for? Simple living seems to be to be more about smart living. I live in Israel, so my husband made a solar oven out of a cardboard box and a windshield reflector, and we bake our wholegrain bread in that once a week. My cakes are all whole grain and I don't own electrical food appliances like a food processor. I'm my own food processor. I live in the middle of the city, so I buy my fruits and vegies at shuk. Just herbs on the porch. Thanks for your instructions for stuff you've learned. Try baking soda for toothpaste. And skip the makeup, you look better without it, and as long as your husband is happy with how you look, what do you need it for? i just might try doing this with lime, it's all i've got today. we make lemon loaf so i think it might be very good. i'm very sorry for the loss of your good friend. Wow, I have made this a few times since this post was written Rhonda, it dosnt last long in this house, is taken to work for morning tea, is eaten for afternoon tea when the children came home from school, and even one was baked for the children to take one house down to an elderly couple for a visit...thanks for sharing.. I made this cake today and I got to tell you that it is just so yummy!!! I love it and love how easy it is to make. I am still shocked at just putting in a whole orange :) I am going to make a coffee and cut myself another piece right now :) Thanks for the recipe and I put a butter icing with coconut on top...Yummmm! Dear Rhonda, thanks a lot for the recipe. I tried it recently but it turned out to be quite heavy.. sort of sticky and imagine the inside of the cake with no little holes, it's like a solid block. I am sure I did something wrong, but I am not an experienced baker and I cannot figure out what..
Do you -or other ladies here- have any idea what might have caused this result? Hi Rhonda, I made this delicious orange cake and have passed on the URL link to several friends for them to do the same. So easy and lasted, moistly, until the last piece was eaten. Going to try the chicken curry for tomorrow night. Thanks very much for your simple, effective ways of making a difference. Definitely an awesome recipe. I have tried making this a couple of days ago and my kids loved it. They love everything made with oranges. Very easy to make and the measurements are precise. Thanks for sharing this to us. Went really well with a hot cup of coffee made from my espresso machine at home. Kudos! I just made this cake for breakfast this morning! What a treat! It was so easy to do and came out moist and delicious. I sprinkled decorative sugar crystals on top before baking, so there was a little crunch on top. Mmmm, boy will my family be happily surprised when they wake up! This looks very similar to a recipe that my mother made. She called it "Fresh Orange Cake". It called for chopped pecans and an orange juice and sugar glaze put on immediately after it came out of the oven. Very delicious! Thanks for the memories. I made this cake for dessert tonight and my family loved it! I substituted 1/2 cup of the flour for wholewheat flour with excellent results. I whipped up a little buttercream frosting (using orange juice instead of milk) to go on top. This would make a delicious muffin as well-- think I'll try that next! Thanks for the easy recipe! chris, I mean cups 250 mls here, I think 8 oz in the US. It's supposed to be a pourable batter. If you're using all purpose flour, are you adding the baking powder? Cook it in a lower oven, maybe 320, for longer, and see how that goes. Thanks alot! I'll try again! Rhonda, I've just made Liqueur 44 (1 bottle vodka, 1 orange studded with 44 coffee beans, 44 sugar cubes, vanilla bean & cinnamon stick, left in a cool dark place for 44 days, stirred occasionally). The liqueur tastes amazing but I'm left with an orange that I can't bear to throw out. I'll try your Orange cake and report back. I have this in the oven right now. The first time I have made it and it smells so divine! I cant wait for afternoon tea! I made this this morning and my husband and I are enjoying it with coffee right now. It is just yummy. I used a navel orange (no pips) and baked it in a square tin. Thank you.